First up on my list are the boys Christmas trees in their room :) I shared our upstairs Christmas decor earlier this week and there were a few too many pairs of dirty socks and underwear laying around (that I had no intention of picking up when I was taking pictures of the rest of upstairs) but since the weekend they've picked up their rooms and run the vacuum through and so it's time to share! The trees in both boys rooms used to go on our entryway buffet table and they're the perfect little size for them to have and do their thing with. I put the ribbon on, bought the pom pom picks (60% off and so cute!) and left the rest up to them. The other little addition upstairs are these sweet monogram wreaths I picked up for the kids doors. I think they are so festive and fun and the kids were so excited to help me put them up! I added the ribbon and am tickled at how cute they are! Buddy is back and his little antics are our FAVORITE! This week he brought Christmas Tree Cakes (a super special treat!) among other antics. The admissions director sent me a few pictures (perks of being on staff! hahaha) and I can't get over how sweet she looks!!! She passed with flying colors and is officially an MCA Mustang! I'm not sure how we got here (wasn't I JUST A newlywed first-year teacher?!?! ), but I am so so so excited! Twinkle lights at night are my FAVORITE! On Wednesday night Mason came down for basketball practice wearing a hat and mittens. He INSISTED on wearing them and I felt like he looked like a trainwreck. When we got there look at what his little bestie was wearing!!! And no... they didn't plan it. Two sweet little peas in a pod! And while we're on the topic of those sweet boys how cute is this picture from his bday party?!?! I picked up this clip for Griffin the other day and I'm IN LOVE!!! Isn't it sweet?!?! IT's a new FAVORITE for sure. 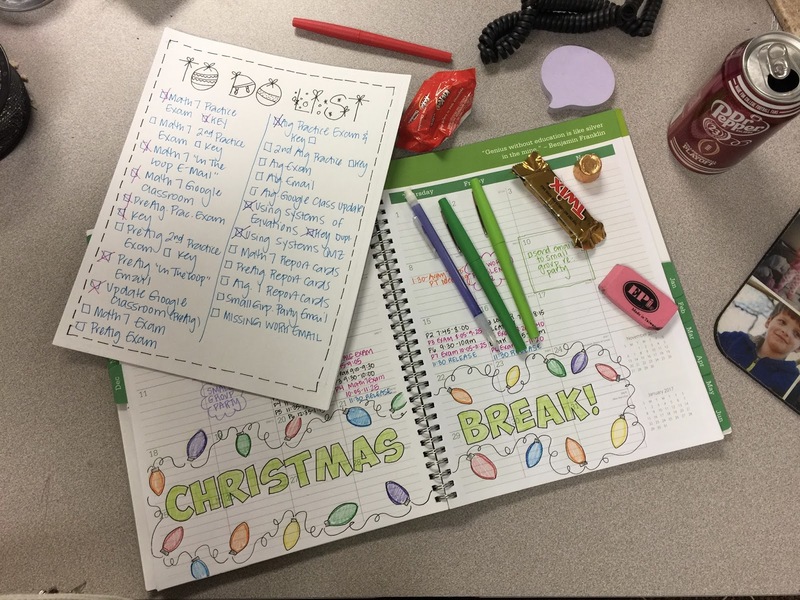 I'm in the final countdown to Christmas break and I'm crossing tons of stuff off my to-do-list! FAVORITE!!! And yes... the last few days of school before break requires caffeine and chocolate. I picked up these plates and bowls on sale and they are PRECIOUS!!! We didn't have Christmas plates (shocking, I know) ;) and we're excited to use these for years to come. Happy (almost) weekend, friends!!! 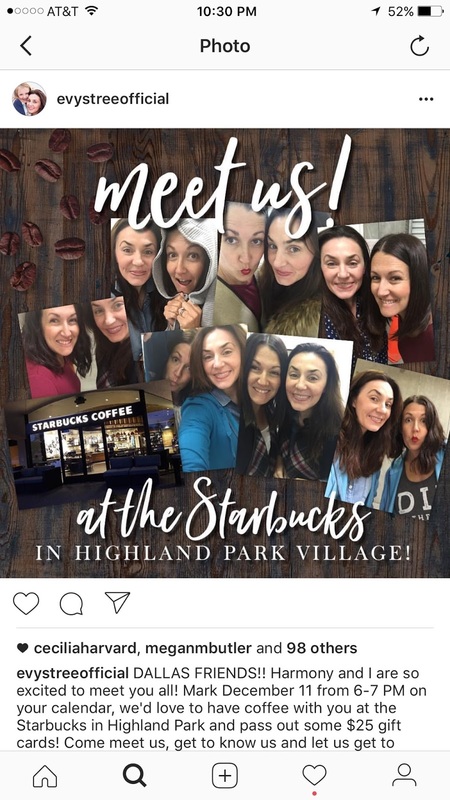 Our weekend is going to be PACKED... dance, two basketball games, craft camp for GG, the boys are in a parade AND I'm going to be hanging out with Amy and Harmony from Evys Tree at the Starbucks at Highland Village Sunday night from 6 - 7! They're going to be passing out gift cards and it's going to be a fun time! I would LOVE to get to meet lots of y'all there!!! PS - This post contained a couple of affiliate links - thank you so much for reading, following along and supporting my blog! Those monogrammed wreaths are fantastic! Those monogram wreaths on the door are CUTE! And I don't blame Mason for the winter wear. It's been cold in Texas! I love those initial wreaths so much! Mason's prayer is the sweetest thing ever! What a precious heart for Jesus! Isn't it?!?! So glad I caught it on video! I love how each tree shows off your kids' personalities! Those wreaths are darling!! What a cute idea!!!! So cute! I love doing little tiny trees in the kids' rooms too! Random question, where did you get the navy rug in Luke's room? We have a solid navy rug in Griffin's room from Rugs USA, but it pills really badly and is very hard to vacuum and keep looking neat. IT was a big lots find FOR EVER Ago! And I think I paid $20 for it! Your decorations are incredible, & I particularly love, love, love those letter wreaths on the kids' doors!! I love the little trees :) How cute is this!!! Can you tell me where the color by number book on the desk in Mason's room is from? My daughter would love that! Thanks!! I LOVE that mason changes up his tree decorations daily. A guy after my own heart! The boys' trees are so cute! I love it! And your kids are stinkin' adorable! Happy Weekend! Love the boys trees and how they reflect their little personalities! And how fun will it be to have all three of your children at school next year! Looking forward to those morning pics:). Happy Friday, Andrea! I'm so excited too!!! And she's going to be in a teeny little plaid skirt!!! DYING!!! We just got those fun pottery barn plates on sale too! They make me happy! Also just starred following Evys Tree after a friend recommended them!!! Happy Friday! The Pottery Barn plates are soooo cute in person and I'm so glad that you found Evys Tree!!! LOVE them! This teacher is on the struggle bus this year... and I love your art work in your plan book. So I spent some of my prep period decorating mine with a string of lights. Now I'm no artist, so it looks nothing like yours, but it made me smile. Love all of your fun touches and creativity with everything! I love those monogram wreaths and that hair clip is ADORABLE! Thank you!! The clip is pretty previous! That sweet little prayer just made my day. Thank you for sharing! I'm so excited!!! I'm so glad you found and love them as much as I do! They're pretty awesome! Congrats to GG!! I know you guys are so proud!! And she's going to be so excited to be in the same school as her big bros! Proud AND a little bit sad... because she's supposed to be my BABY! BABY!!! And now she's going to school. Bittersweet for sure . I love how you decorate in your son's rooms! Such a cute idea - those trees are beautiful! I'm sure they love waking up and seeing them :) Thanks for hosting!!! Thank you!!! They're loving them A LOT!!! Harmony goes to my church and I'm super jealous that she gets to meet my favorite blogger! Where did you get your teacher plan book?? I can never find a planner big enough for all my classes. I teach middle grades as well. Thank you and Merry Christmas! !